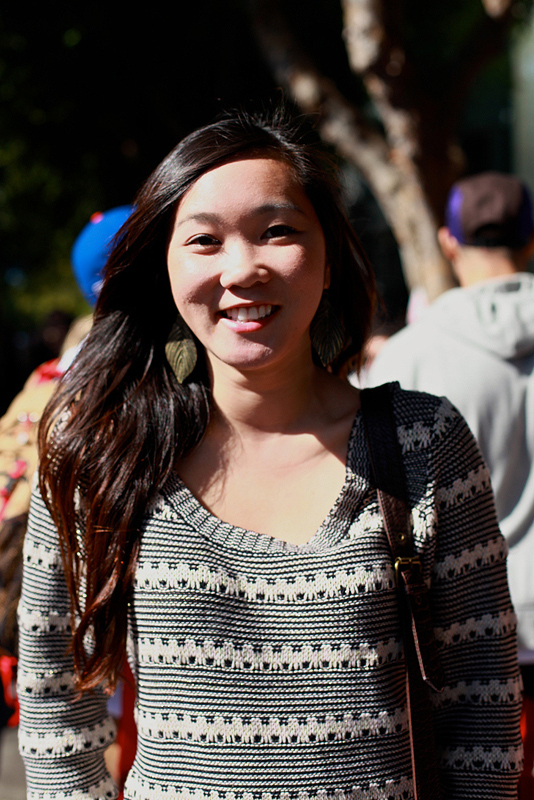 "I like comfy clothes. That's why my shoes have no heels. Something really comfy, I like to be warm." I like that her sweater and tights give an impression of perpendicular lines. 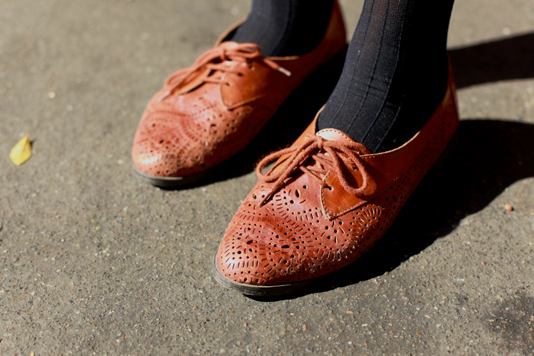 A look at her cute perforated leather lace-up shoes.